It was in October 2007 that I approached David Skipp (the Synod Property Officer) and asked him to visit Wanstead to give me a view on the value of the Centenary Hall (or the land on which it stands). My idea was that the decoration and repairs necessary to the sanctuary might be covered by the sale of just that hall. I didn’t want to suggest this to the elders or church meeting unless it was a viable proposition – this was a sheer fact-finding enquiry. David came, bringing two partners from Biscoe Craig Hall (the firm retained as the synod’s surveyors). The surveyors had been supplied with copies of the up-to-date quinquennial survey (summer of 2007) of the all the property and the three of them made a thorough inspection of the property. We then went to the manse for a discussion. One of the partners pointed out to me that the “bottom line” cost on the quinquennial (which was bad enough at about £200,000) had two items in it which had not been costed. One of these was the external stonework which said “cost prohibitive” across the costing and level of urgency columns, and the other was the roof: “provision should be made for its complete replacement”. The Biscoe Craig Hall partners promised to send a written report with their suggested options for a way forward. They also told me, “you have a million pound building project on your hands”. The report came just before Christmas; Biscoe Craig Hall had set out three possible options: (1) to continue to repair when needs arose, (2) to sell part of the premises and use the monies raised to repair and reorder the remainder, and (3) to go into partnership with a private developer who would demolish all the buildings on the site and, for the land upon which to build property for sale at the rear, would build us our church at the front of the land. The elders decided to have an elders’ day at which we had a substantial discussion on these options. The elders and I set out these options in a letter to all church members and encouraged a good attendance at the February church meeting in 2008 – and we organised a further church meeting after worship on the Sunday morning following the usual Thursday meeting to enable those members who find it difficult to get out in the evenings to participate in this vital discussion. The discussion on the Thursday evening was robust, but largely positive. The ‘problem’ with taking option 1 was that the rate at which the church’s monies were being used up on repairs to the roof meant that we would be bankrupt within four to five years. Trying to fund-raise for a sum we believed, at that point, to be something just under £1m (and that was repairs to the whole premises, with no internal reordering), was just not feasible within that time frame. The church meeting was preparing to work towards a major decision between the other two options on the Sunday when, on the Friday morning, I received a letter from English Heritage saying that an application had been made to list the building. This I had to tell the church at the Sunday meeting, and the news that someone had gone outside the church meeting upset some people. I told the church meeting what I still believe to be true, that someone was going to make this application at some point in the process – who had done it did not matter, and the fact that it had been done at the beginning of the process, before we had started or spent any money, meant that we hadn’t wasted work or funds. Very quickly the group added a fourth option, namely to sell the site and use the monies to buy land and build/adapt premises elsewhere. We then researched the feasibility of each of the four options before us. 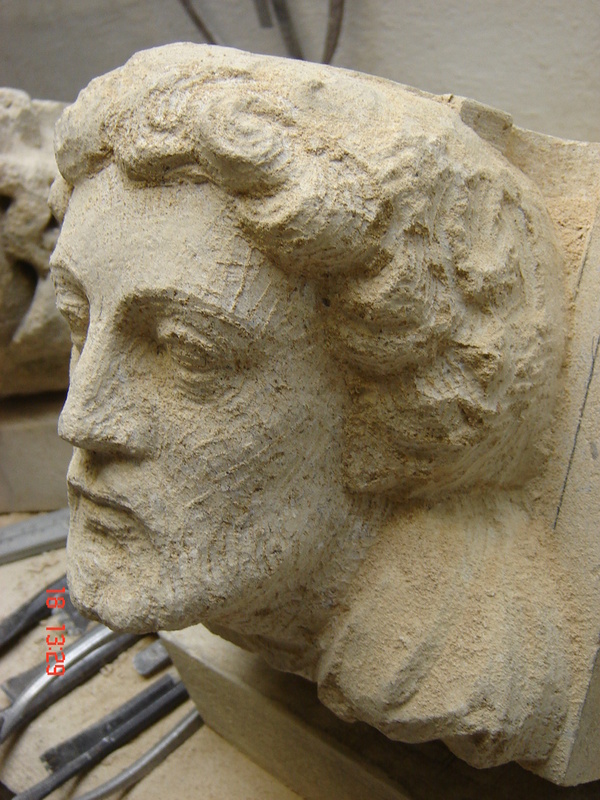 … and finally English Heritage reported just after the June 2009 church meeting. We had been listed as Grade 2 (without a star) which was the worst of both worlds. That listing brought no funds with it, but did limit our choices. … meanwhile, God was already working to answer our prayers. In the middle of August I had a phone call out of the blue from the Treehouse Nursery. They had heard we had halls to hire and they were desperate for more space, would we be interested in hiring to them? I had to tell them that, at the church meeting at the end of September, we might well be deciding to sell the halls so until we knew what the future would bring it really wasn’t fair to enter into negotiations with them. Maria Sanchez, the owner, said she still would be interested in seeing the premises – and it was August, and I wasn’t too busy that day, so I met her and showed her around. And she stood in the middle of the church and told me she had enough money and would like to buy the halls. We went back to her office and I had to tell her that the decision wasn’t mine to make, she would have to wait until the church meeting. She told me – ‘we’ve been praying about this, I think you’re the answer to our prayers’. To which I responded, ‘and maybe you’re the answer to our prayers too’. What a wonderful conversation to have! The 2009 September church meeting came along, and we reviewed the pros and cons of the two remaining options, and I made a decision not to tell the church meeting about the Nursery School’s offer which I felt might sway the deciding process – until, that is, someone asked if, in the financial climate, we could actually sell and I was able to say that interest had already been expressed. We passed a proposal to sell the two halls and associated premises – with a majority of about 97% – one opposing vote and one abstention – and a spontaneous round of applause and again a wonderful spirit at the meeting. Within a week we had the formal offer from Treehouse Nursery and things were put into motion. Within the next few weeks I also had interest expressed by two developers who were interested in the land for demolishing the halls and putting up housing – so perhaps we were very lucky to get the Nursery School’s offer first. We sold for £1.125m, well into the price range recommended by Biscoe Craig Hall. Other monies were raised by the relocation of the manse (which released about £140,000 of capital), a tremendous effort by Rebecca Plunkett in applying to various Trusts, generous giving by church members and various funding raising efforts. 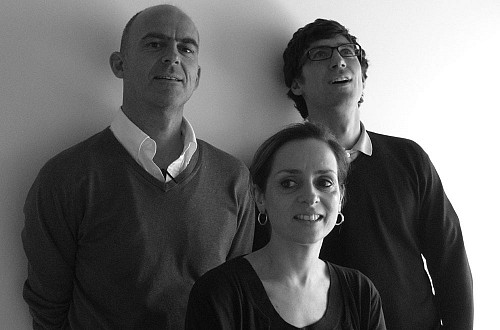 So we moved into the next phase – putting our requirements into a brief from which potential architects could work. David Skipp, who joined the Development Group with Jim Laurie (Area), has been a wonderful support, encouragement and source of information throughout the whole process and he did the majority of work at that stage. Four firms whom the synod had already worked with on other projects were invited to tender – they all visited the building and spoke to David and I, and they all came back for a longer visit to measure up and take photographs – and a day was set for the presentations on Saturday 27th February 2010, with a special church meeting after worship on Sunday 28th February to decide between them. The Development Group was augmented by the architects and the costs consultant. May 2010 brought the new government and rumours abounded about the measures that would be taken to deal with the financial situation, including the possibility that churches would lose VAT relief that would have cost us some £40,000. So we made a decision to ameliorate this possibility by phasing the work to get the bulk of the external stonework paid for before such measure might be brought in. We also had to rein back on our ‘wish list’ and set aside plans for the development of the gallery until a possible Phase 3 (in the future perhaps). Chris Walker did a wonderful job on organising the moving out of the halls and kitchen before completion on the sale. Thanks to him, and to others who helped him. The architects worked on their plans, and we appointed Szerelmey as the stonework experts to work on the exterior (Phase 1). The quality of the repairs to the tracery was the first thing to strike me. Stained glass was removed (temporarily replaced by plain glass), repaired and replaced. The roof on the church was completely overhauled. Pigeon deterrents were added throughout. 17 tonnes of new bath stone went into the new coping stones and many areas of repair. And a huge amount of repointing work was done to ensure the stonework remained waterproof throughout. I remember a site meeting where the professionals were talking about “amalgam” – as far as I was concerned, amalgam was something the dentist filled my teeth with so I went off to make the coffee. When I came back, I learned that the discussion was about the analysis of the mortar that had originally been used and exactly same Victorian mix with the exact same size of chips of gravel in it, was being reconstituted to do the repointing. That was a perfect example of the level of attention to detail that went into Phase 1. A further joy was the production of a new carving of St Luke, who now appears to the left of the right hand window as you look at the main entrance to the church. internal reordering and repairs, was underway. There were three possibilities: one was to go to Gants Hill, with whom we shared a joint pastorate at the time, but it was felt that this was too far; another was to hire a space somewhere (say a school hall) but that would have meant no coffee, and no storage space for chairs, hymn books and so on; finally we agreed to ask the Methodist Church if we could share their premises, and a group was set up of a few people from each church to work this out. This, of course, is what happened – and their welcome was warm and gracious, and our friendship with our Methodist friends has deepened. We shared all the evening services, and six morning services, as well as special services at Christmas. For “normal” Sunday morning worship, the Methodists kindly moved 15 minutes earlier, and we moved our service an hour later with coffee beforehand rather than afterwards. This gave us a short sharing time with our Methodist friends as the services had about 15 minutes between them. During the summer of 2011, between the two Phases of the work, TKA faced dire financial problems of their own and had to review their staff and projects. They no longer had the capacity to project manage our Phase 2, though they would remain available as consultants because the design was theirs. Peter Vaughan began to work independently and we were glad to be able to employ him as an independent project manager for Phase 2. This was actually the role he had taken on Phase 1 anyway and the continuity, as well as his expertise, was most welcome. Again, during the summer, Chris Walker organised the sale of various items (mainly the pews and parquet flooring), the remainder going into professional off-site storage and various members’ homes (particular thanks to Helen Jones). This sale meant that the move out, storage and move back was cost neutral and even raised some funds. • … and probably a host of smaller things that we will take for granted! The church meetings continued to be positive, forward-looking and courageous in their decisions – including the choosing of the new chairs, and dealing with the financial situation time after time. Considering the amount of work and decision-making needed, the church has remained remarkably united, and considering the year we have spent out of our own premises, remarkably loyal. I am grateful to the whole church community for the support and encouragement I have received throughout. The Development Group (and a small kitchen sub-group we formed), Chris Walker, Rebecca Plunkett and the elders have all been colleagues, and the church has really pulled together. At the church meeting on 31st May 2012 (the final meeting to be held in the Methodist Church), we set the dates for the return to the building: our own first service back, 24th June 2012; a coffee morning open to the community, 7th July 2012; and a formal service of thanksgiving and dedication, 15th July 2012. God has been gracious and gone ahead of us so far, and we continue to believe and trust that the future is in God’s hands.